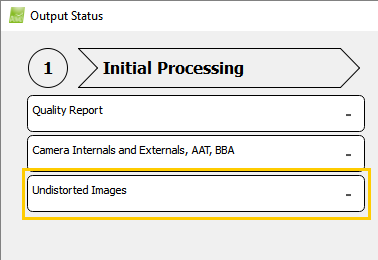 Access: On the menu bar, click Process > Output Status... The pop-up Output Status appears. The processing step that is being processed. The processing steps that have already been processed. 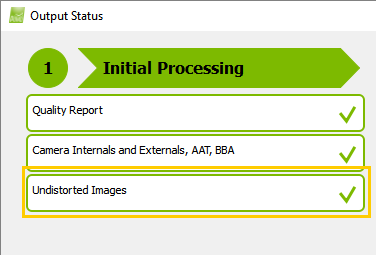 The processing steps that cannot be processed with the current version of Pix4Dmapper. For more information: Processing steps. The output files that are selected to be generated. The output file that is being generated. The output files that have already been generated. 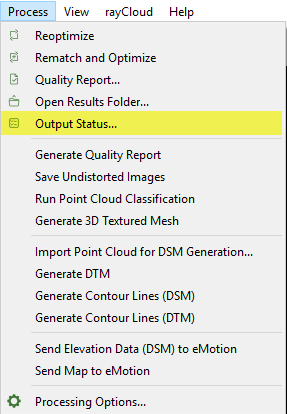 The output files that can be generated with the current version of Pix4Dmapper. For more information: Processing steps. The formats of the output files selected to be generated. The dependencies between the output files. Information and links to the processing options and the results folders about the output files. The three processing steps, 1. Initial Processing, 2. 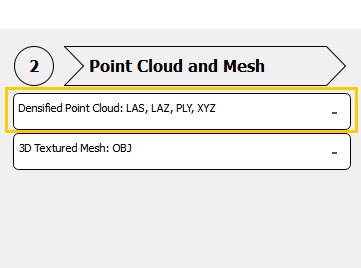 Point Cloud and Mesh and 3. DSM, Orthomosaic and Index appear in the pop-up Output Status. Transparent: If the processing step is not processed yet. Orange: If the processing step is being processed. Green: If the processing step is already processed. 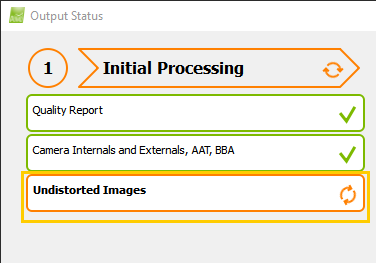 Grayed out: If the processing step is not available in the current version of Pix4Dmapper. Processing step not processed yet. Processing step being processed. Processing step processed. Processing step grayed out. Important: When no Output Files are selected for step 3. DSM, Orthomosaic and Index, step 3. 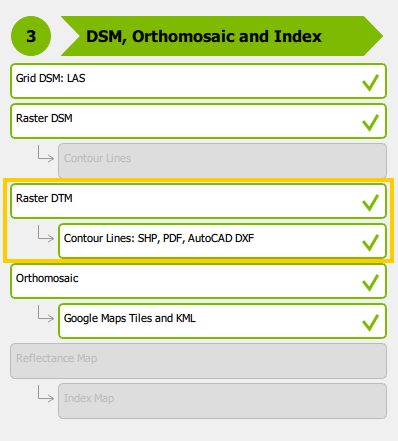 DSM, Orthomosaic and Index is grayed out and cannot be processed. White: If the output file is not generated yet. Orange: If the output file is being generated. Green: If the output file is already generated. 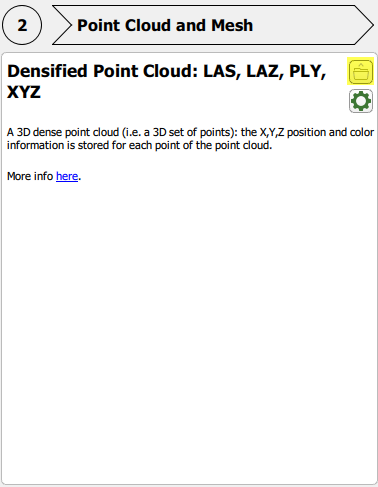 Grayed out: If the output file is not selected to be generated or if the output file is not available in the current version of Pix4D Desktop. Output file selected to be generated. Output file being generated. Output file being generated. Output file not selected to be generated. 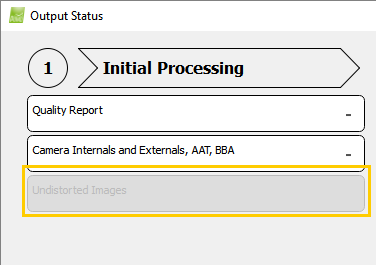 Note: The Camera Internals and Externals, AAT and BBA and the Undistorted Images are displayed only when the Advanced box is selected. In each output file box, the different selected output file formats are displayed. 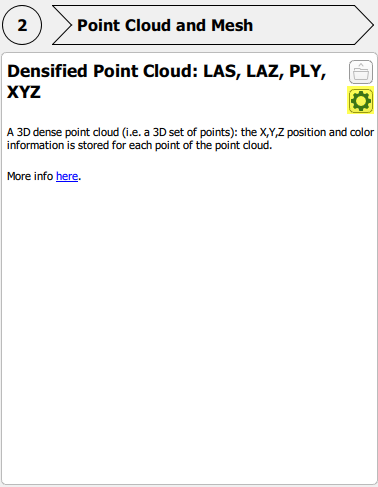 Example: For the Densified Point Cloud, the .las, .laz, .ply and .xyz file formats are selected. Some output files are indented and connected to other output files with arrows. These arrows represent the dependencies between the different output files. If the initial output file is not selected, the dependent one cannot be generated and it is grayed out. Example: The Contour Lines (based on the Raster DTM) depend on the generation of the Raster DTM. A description of the output file. A link to the processing options of this output file. A link to the results folder directory of the output file. Description of the output file. Open the processing options for this output file. Open the results folder for this output file. 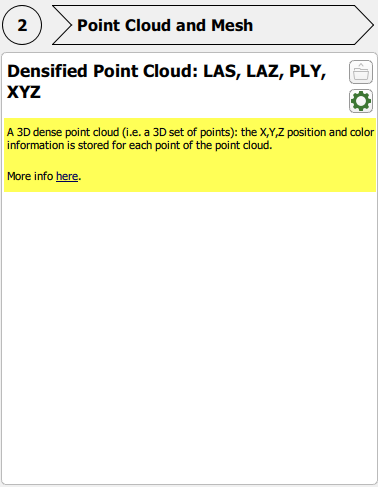 Disabled: The output files not selected or not available in the current version of Pix4Dmapper are displayed. To do: The output files selected to be generated are displayed. In Progress: The output files being generated are displayed. Done: The output files already generated are displayed. If the box Advanced is selected, the advanced output files are shown. Close: Closes the pop-up Output Status. Help: Opens the Pix4Dmapper help. What does the Output Params Folder contain?